Were the Fiero stickers too expensive last time? Well here’s some shameless self-promotion. They’re on sale right now, along with everything else in my RedBubble store. Go buy stuff and use the code TAKEOFF20 at checkout to get 20% off everything. 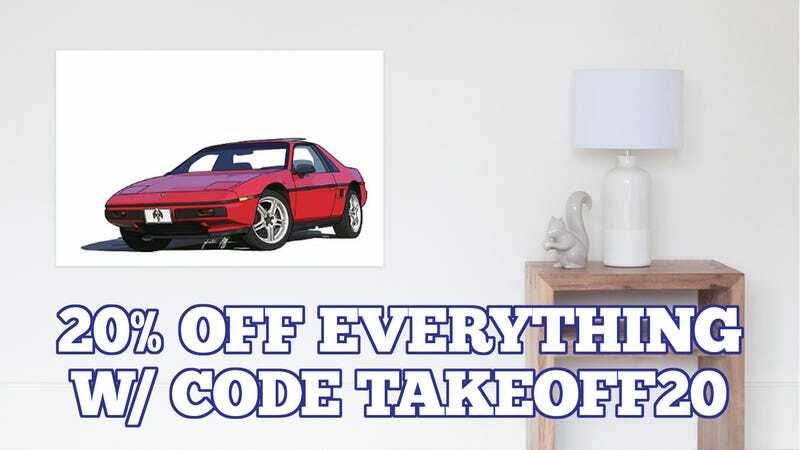 BTW, if it was an Oppo who bought a couple Fiero stickers, thanks. It was cool to actually sell something. ETA: Temp link in case Kinja decides to keep hiding it from you.